The full story of HWM is very well told in Doug Nye’s highly regarded reference work, “Powered by Jaguar”. In short, two irrepressible gentlemen motor enthusiasts who had been making a living pre-war in the business of selling and servicing modern motorcars amalgamated their South-West London based enterprises post war. The new company was called Hersham & Walton Motors Ltd and the two directors were George Abecassis and John Heath. 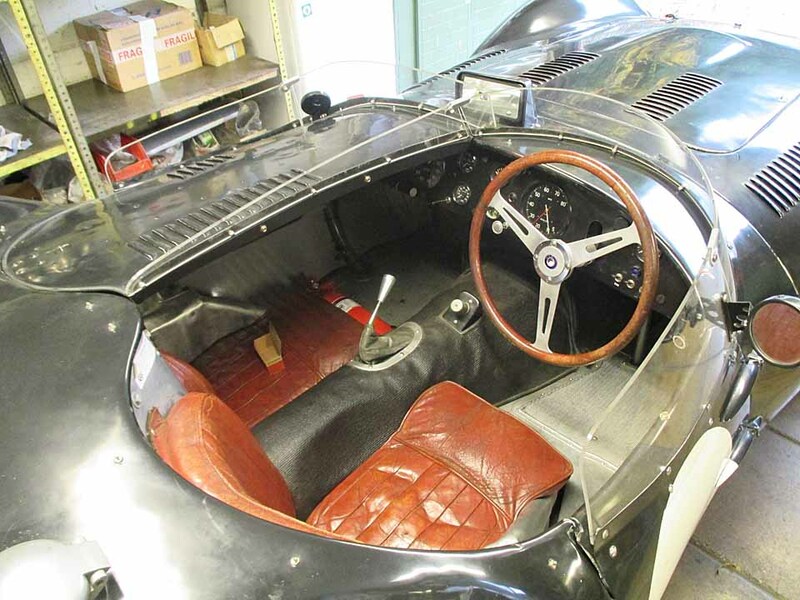 The business proved to be successful and the two partners were able to involve themselves in single seater racing which they did until 1951 when they decided to concentrate on sports car racing. 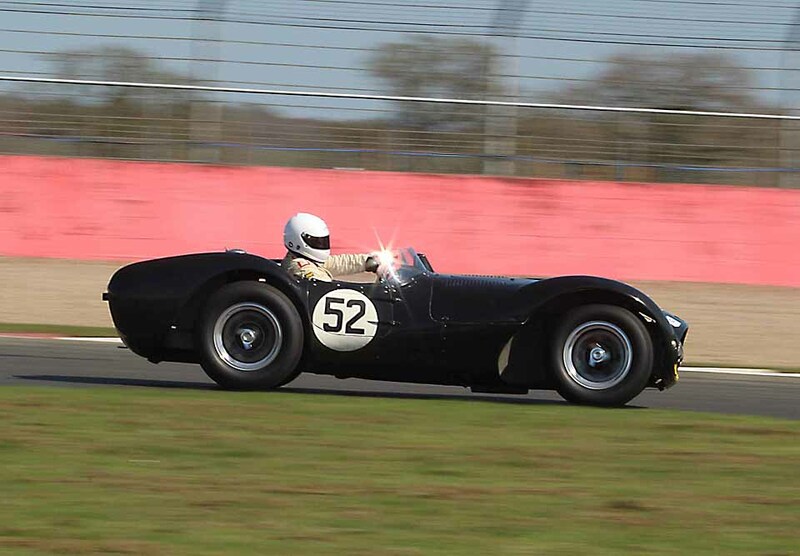 With engines supplied by Jaguar a pair of cars were produced and developed and they proved to be highly successful. A new design was introduced in 1955 and another pair of cars were built again with Jaguar engines and registered XPE 2 and HWM 1 respectively. On the race track the privateer garagistes were mixing it with the Works teams from Jaguar, Aston Martin, Ferrari and Maserati and not without success. 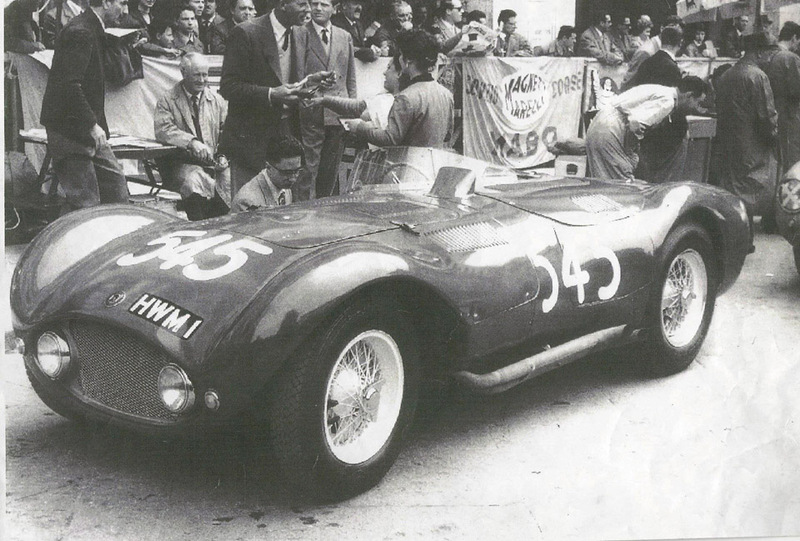 XPE 2 was used extensively in 1955 & 1956 and ‘boxed above its weight’ to many victories and podiums. The second car was built for John Heath and registered HWM 1. He had entered that years Mille Miglia to fulfil a long held ambition. The car utilised a non parallel twin tube chassis with coil springs and wishbones to the front and coil springs and De Dion to the rear and Alfin drum brakes all round. 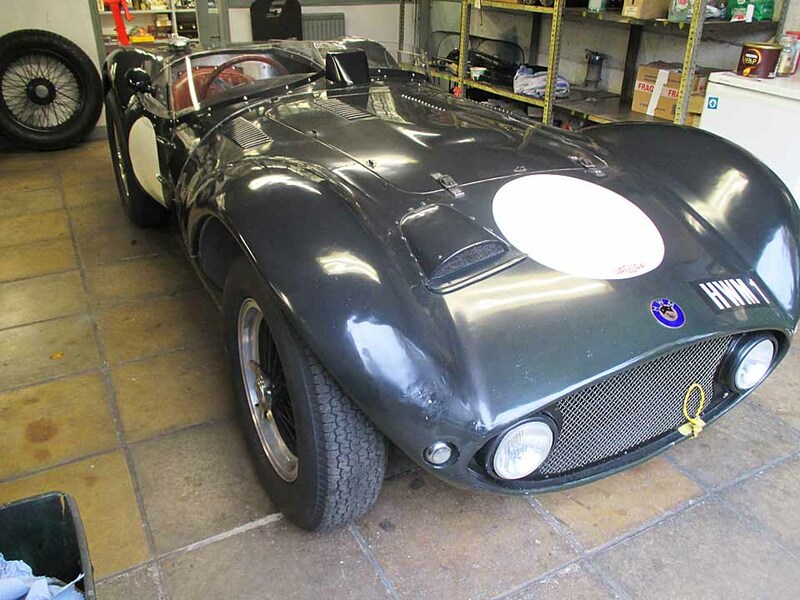 It was fitted with Webber Carburettors from new and was initially fitted with a 3.4 litre Jaguar motor which was replaced with a 3.8 litre unit in late ’57 or early ’58. 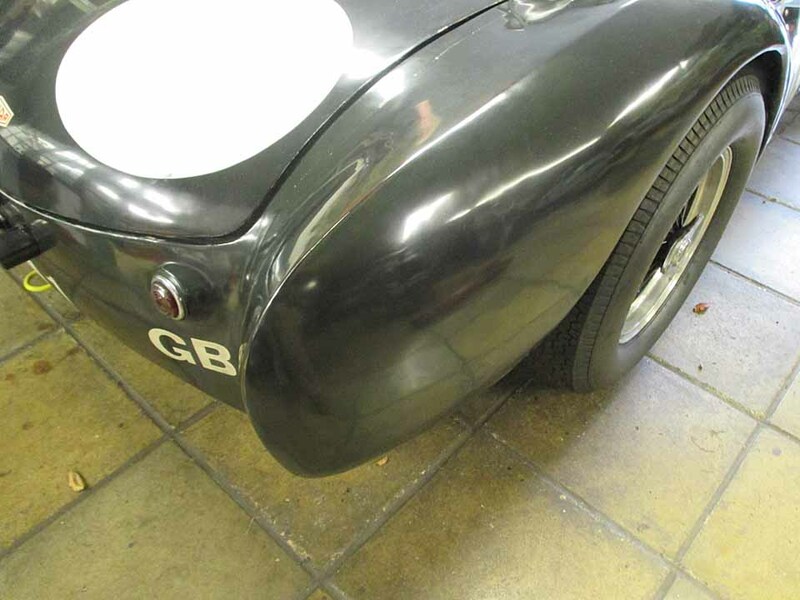 This car is well known in historic racing circles having been sympathetically restored by the current owner and enthusiastically campaigned with great success.